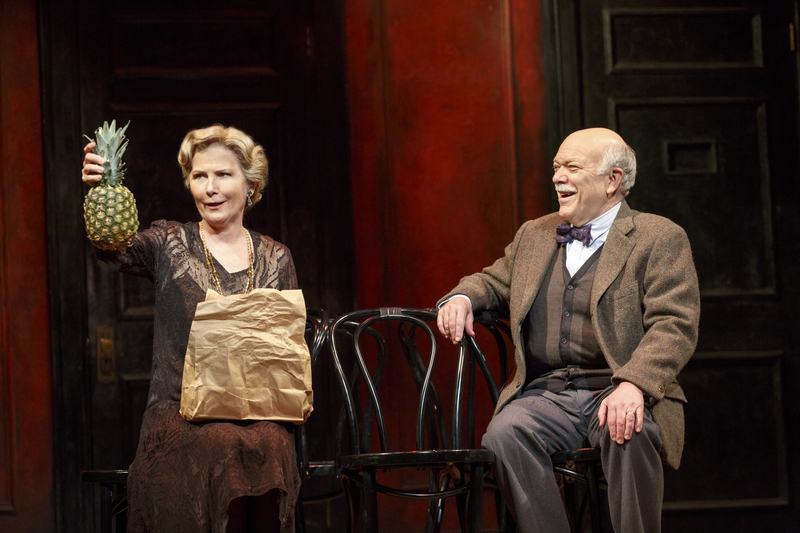 Roundabout Theatre Company brought the Broadway classic Cabaret to the Fabulous Fox Theatre in Saint Louis, Missouri for a run that began on March 7, 2017. For this particular show, the role of Emcee really makes or breaks the show. Jon Peterson (whom, I have previously seen in Rocky Horror Picture Show) was an excellent choice for this role. His animated personality mixed with a little improv had us all cracking up within minutes. The amount of adult content had a few people sitting around us sitting with their chins in their laps, but I just had tears rolling down my face. Cabaret has an interesting way of bringing up a lot of different controversial subjects in a way that is also very entertaining. Set in Berlin, Germany in 1929-1930 Clifford Bradshaw (played by Benjamin Eakeley) is a starving American novelist, who came to Germany for inspiration for his next book. What he found was Sally Bowles (played by Leigh Ann Larkin) an English lounge singer from the Kit Kat Club. Sally, down on her luck, wormed her way into the heart (and apartment) of Bradshaw. Let’s just say there was a lot of action happening in the building owned by Fraulein Schneider (played by Mary Gordon Murray), sailors coming and going, the new couple and a Jewish man, Herr Schultz (played by Scott Robertson) after the heart of Fraulein. Just reading that you wouldn’t really think it sounded like that big of a deal. How would that turn into such a big hit? In my opinion Cabaret was a trailblazer. Written in 1967 Joe Masteroff and Fred Ebb Cabaret talked about issues that were not mainstream to discuss. From the very beginning when Bradshaw first entered the Kit Kat Club, one of his first phone calls was from Nick, a man he had previously had an affair with. From there he lived with an unmarried Sally Bowles. This was set in the late 1920s, but even in the late 1960s, these topics were bold. 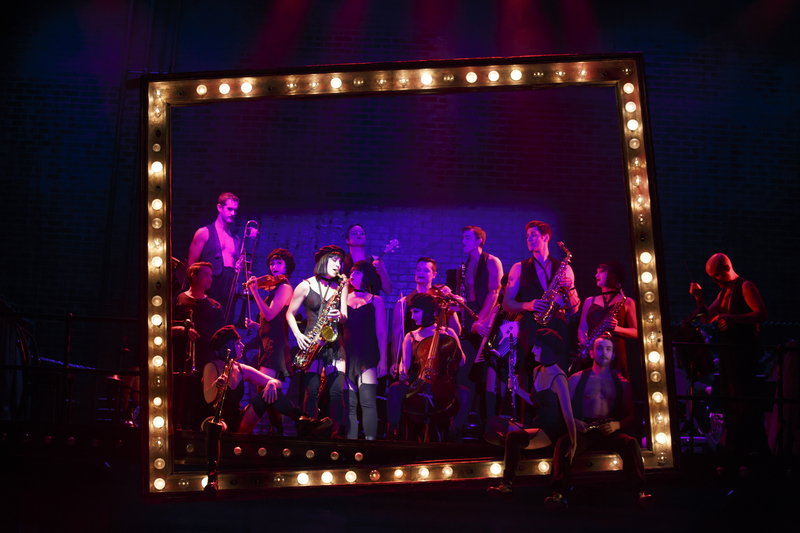 National Touring production of Roundabout Theatre Company’s CABARET. Photo by Joan Marcus. Then, in the second act you begin to see that Fraulein is in love with Herr, but she cannot be with him because he is Jewish and she is scared that the Nazi’s will take away her renters license or worse. Then you realize that Sally is drinking because she is no longer pregnant and that the “doctor” kept her fur coat, all of these topics become very real. I am not sure if it was the timing of the performance, or the fact that the company was that OFF THE CHARTS but the show really hit home for me. While I won’t turn this review into a political piece I will say that life really IS a Cabaret. You still have plenty of time to see this show, which I give 4.5 stars. That is the highest rating I’ve given so far this season, but between the astounding vocals and the fact that the company is also the orchestra, you CANNOT go wrong with this show. Tickets are still available the Fabulous Fox box office. The show runs now- March 19th at the Fabulous Fox Theatre.